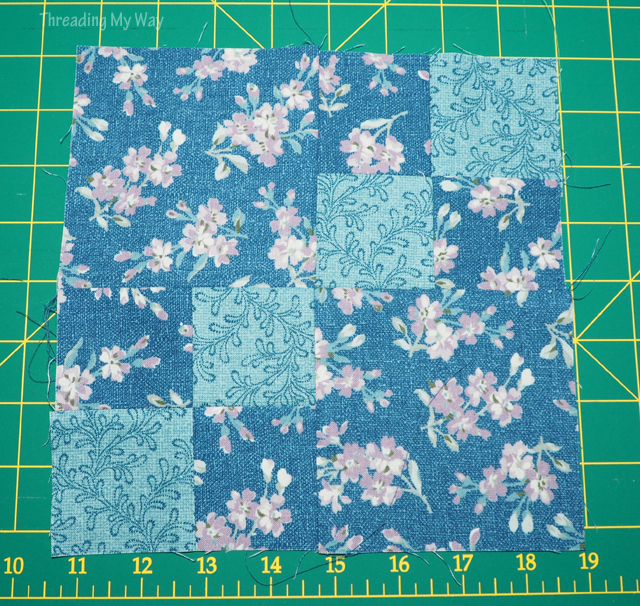 I find it relaxing to make quilt blocks when there's no need to make enough for a quilt - as many or as few as I feel like. 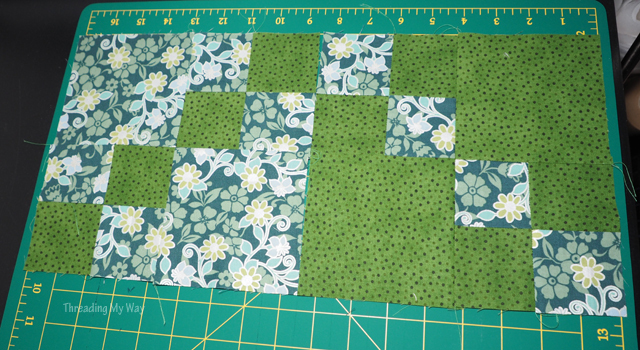 And when someone else sews the blocks together, even better, as there's no pressure. 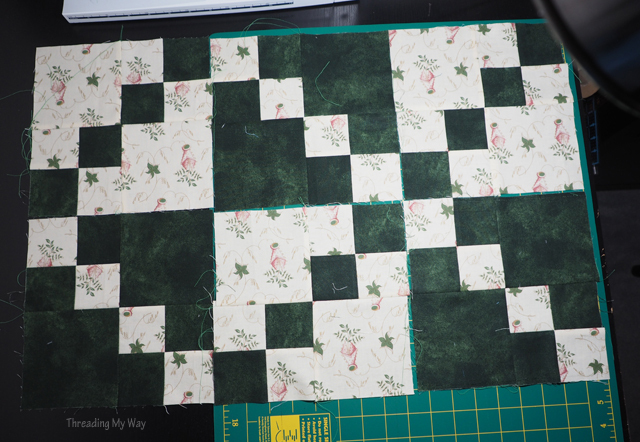 The only requirement was to make double four patch blocks using light / dark colours. It was a great opportunity to use up fabrics that had been sitting in my stash for quite a while. 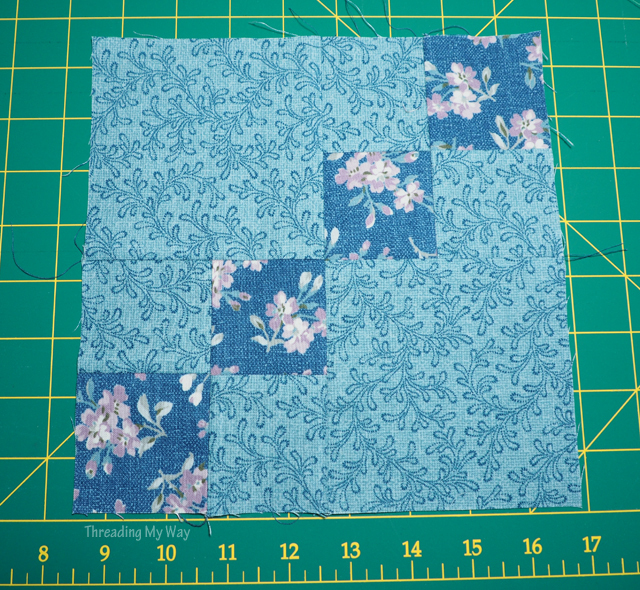 In the main I used fat quarters, but I also found some largish scraps that worked well. My blocks will be added to others that have been donated. 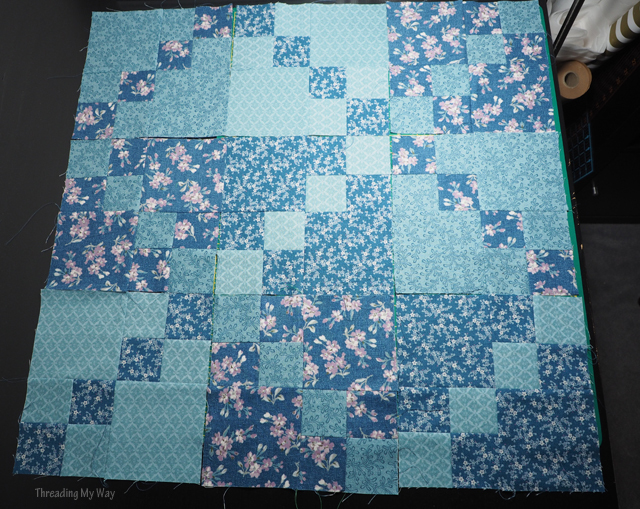 From memory there'll be 48 blocks in each quilt. This was feel good sewing that was relatively quick to sew. Very pretty - a simple 4 patch can certainly get it's bling on! I almost didn't use the floral with the lime green, Sheila, as I adore it. But I'm happy I did.